章大全, 宋文玲, 2018. 2017/2018年冬季北半球大气环流特征及对我国天气气候的影响[J]. 气象, 44(7): 969-976. DOI: 10.7519/j.issn.1000-0526.2018.07.013. ZHANG Daquan, SONG Wenling, 2018. 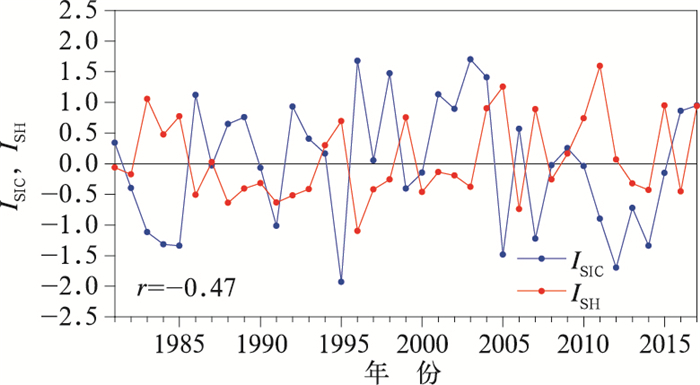 Northern Hemisphere Atmospheric Circulation Characteristics in 2017/2018 Winter and Its Impact on Weather and Climate in China[J]. Meteorological Monthly, 44(7): 969-976. DOI: 10.7519/j.issn.1000-0526.2018.07.013. 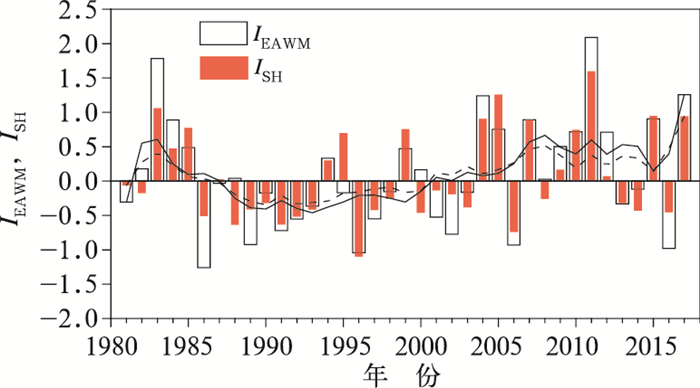 Abstract: The East Asian winter monsoon (EAWM) and Siberian high (SH) were both stronger than normal during the 2017/2018 winter, with significant intraseasonal variation. 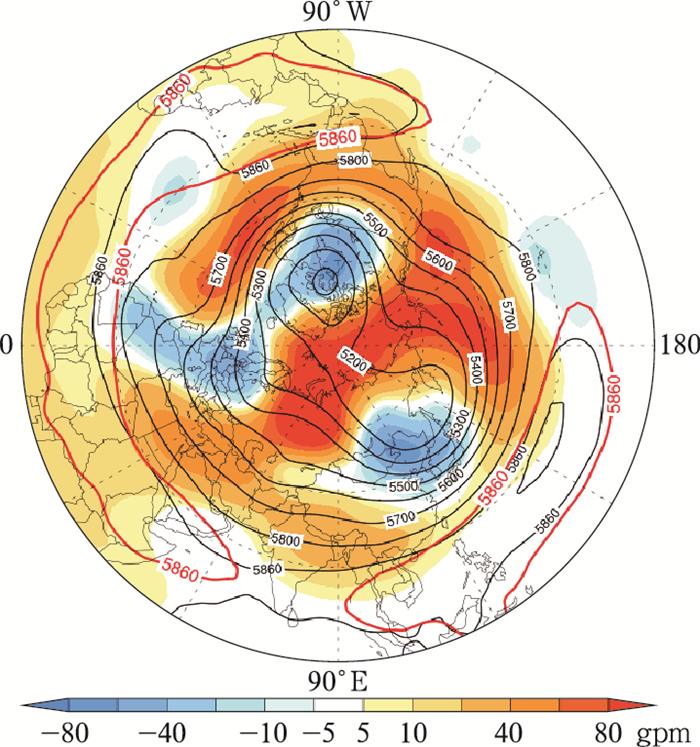 The geopotential height anomalies of mid-high latitude of Eurasia were mainly occupied by meridional circulation, with strong Ural high, and westward East Asian trough. The 2017/2018 winter was marked with frequent cold air processes, low temperature in northeasten China and abnormal warmer climate in Tibetan Plateau. 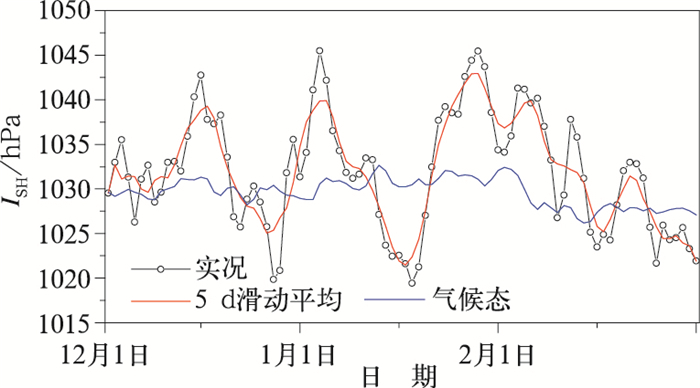 Diagnostic analysis of possible mechanism for strong EAWM in 2017/2018 winter indicated that, subject to the modulation of warm phase of Pacific Decadal Oscillation (PDO), the influence of La Ni a was comparatively weak. Meanwhile, the weak polar vortex of Northern Hemisphere, and continuously warm SST in north Atlantic, both associated with the strong EAWM in 2017/2018 winter. 陈隽, 孙淑清, 1999. 东亚冬季风异常与全球大气环流变化Ⅰ强弱冬季风影响的对比研究[J]. 大气科学, 23(1): 101-111. 陈文, 2002. El Niño和La Niña事件对东亚冬、夏季风循环的影响[J]. 大气科学, 26(5): 595-610. 丁一汇, 王绍武, 郑景云, 等, 2013. 中国气候[M]. , 576. 顾雷, 魏科, 黄荣辉, 2008. 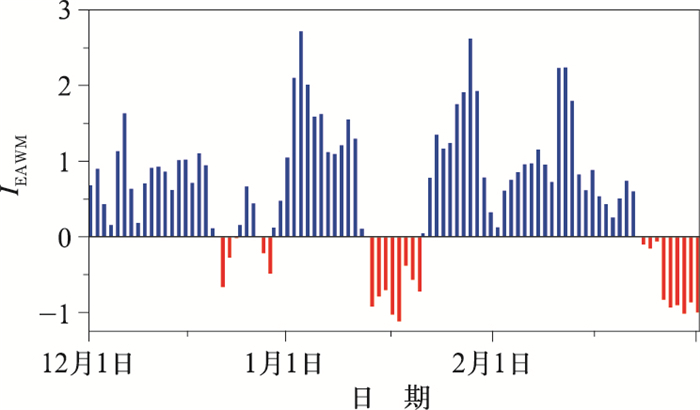 2008年1月我国严重低温雨雪冰冻灾害与东亚季风系统异常的关系[J]. 气候与环境研究, 13(4): 405-418. 郭其蕴, 1994. 东亚冬季风的变化与中国气温异常的关系[J]. 应用气象学报, 5(2): 218-225. 李崇银, 1989. 中国东部地区的暖冬与厄尔尼诺[J]. 科学通报, 34(4): 283-286. 李崇银, 顾薇, 2010. 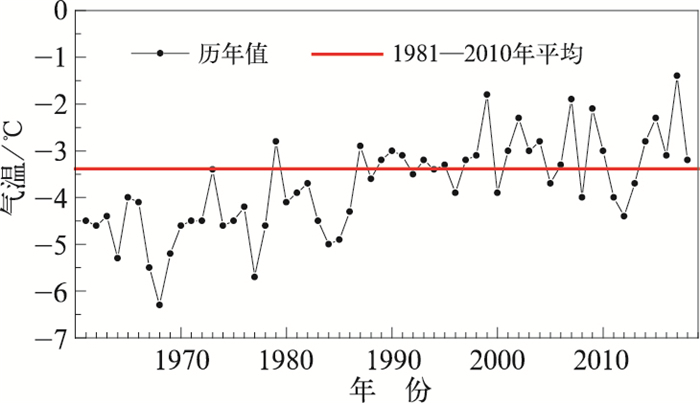 2008年1月乌拉尔阻塞高压异常活动的分析研究[J]. 大气科学, 34(5): 865-874. 李崇银, 穆明权, 2000. 东亚冬季风-暖池状况-ENSO循环的关系[J]. 科学通报, 45(7): 678-685. 李栋梁, 蓝柳茹, 2017. 西伯利亚高压强度与北大西洋海温异常的关系[J]. 大气科学学报, 40(1): 13-24. 李汀, 郭品文, 李建科, 等, 2007. ENSO与东亚冬季风的非线性关系[J]. 陕西气象, (3): 1-5. 穆明权, 2001. 东亚冬季风异常与ENSO循环关系的进一步研究[J]. 气候与环境研究, 6(3): 273-285. 陶诗言, 张庆云, 1998. 亚洲冬夏季风对ENSO事件的响应[J]. 大气科学, 22(4): 399-407. 王会军, 贺圣平, 2012. ENSO和东亚冬季风之关系在20世纪70年代中期之后的减弱[J]. 科学通报, 57(19): 1713-1718. 武炳义, 苏京志, 张人禾, 2011. 秋-冬季节北极海冰对冬季西伯利亚高压的影响[J]. 科学通报, 56(27): 2335-2343. 武炳义, 杨琨, 2016. 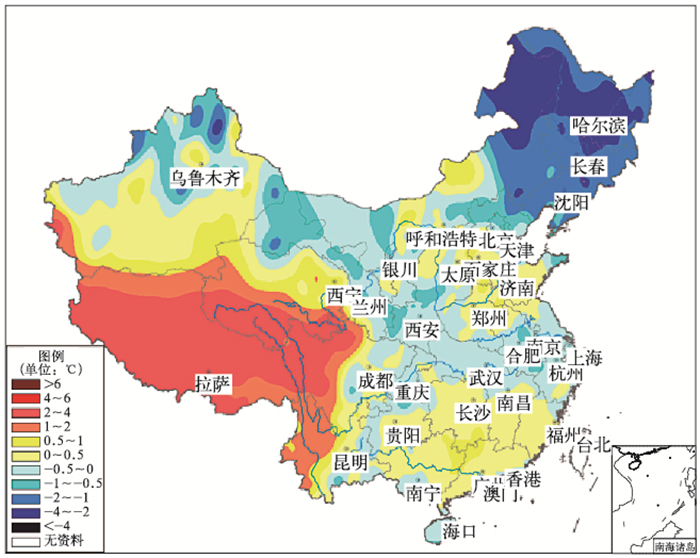 2015/2016年冬季大气环流异常看北极海冰以及前期夏季北极大气环流异常的作用[J]. 气象学报, 74(5): 683-696. 吴尚森, 梁建茵, 2000. 华南冬季异常冷月预测概念模型Ⅱ——大气环流、极冰、积雪等物理因子特征[J]. 热带气象学报, 16(4): 289-296. 徐霈强, 冯娟, 陈文, 2016. ENSO冷暖位相影响东亚冬季风与东亚夏季风联系的非对称性[J]. 大气科学, 40(4): 831-840. 宗海锋, 张庆云, 布和朝鲁, 等, 2008. 黑潮和北大西洋海温异常在. 2008年1月我国南方雪灾中的可能作用的数值模拟[J]. 气候与环境研究, 13(4): 491-499. Li Shuanglin, 2004. Impact of Northwest Atlantic SST anomalies on the circulation over the Ural Mountains during early winter[J]. J Meteor Soc Japan, 82(4): 917-988. Rowntree P R, 1976. 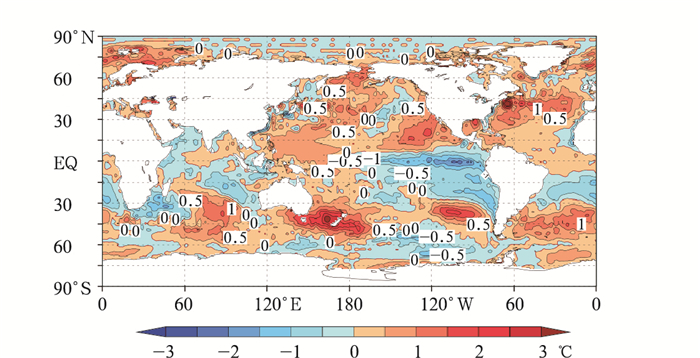 Response of the atmosphere to a tropical Atlantic ocean temperature anomaly[J]. Quart J Roy Meteor Soc, 102(433): 607-625. World Meteorological Organization, 1989. Calculation of monthly and annual 30-year standard normals[R]. WCDP-No. 10, WMO-TD/No. 341, Geneva: World Meteorological Organization. World Meteorological Organization, 2007. The role of climatological normals in a changing climate[R]. WCDP-No. 61, WMO-TD/No. 1377, Geneva: World Meteorological Organization.